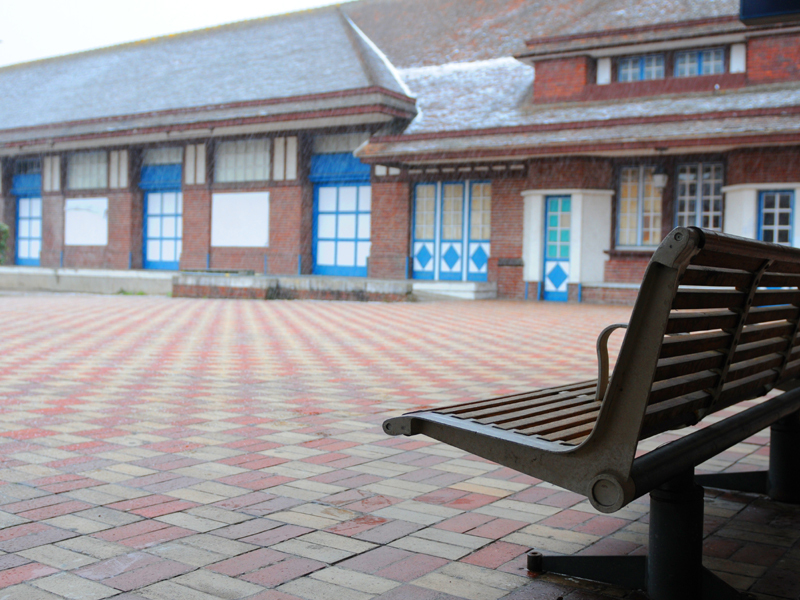 Often compared to the Pointe Noire railway station in Congo, the Deauville-Trouville station was designed by the same architect - Jean Philippot – in 1931. 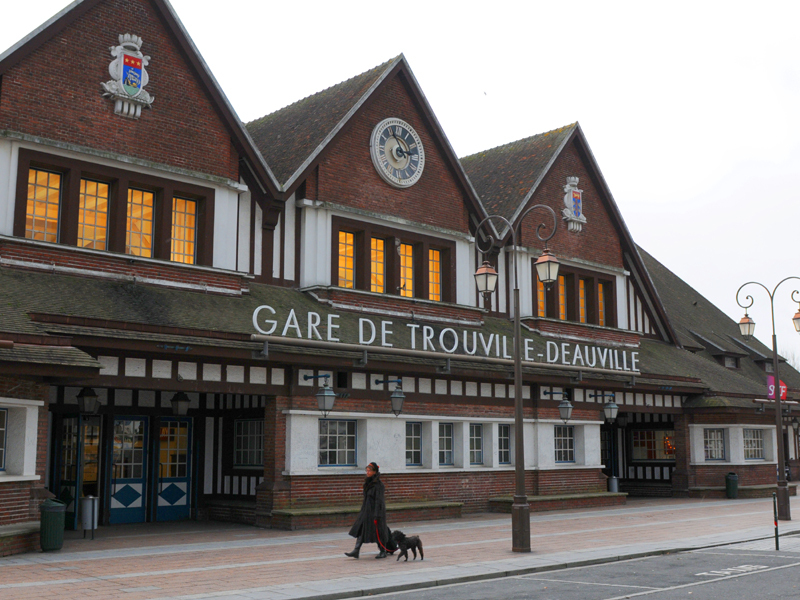 Shared by Deauville and Trouville, it is the terminal station of a U-shaped network. 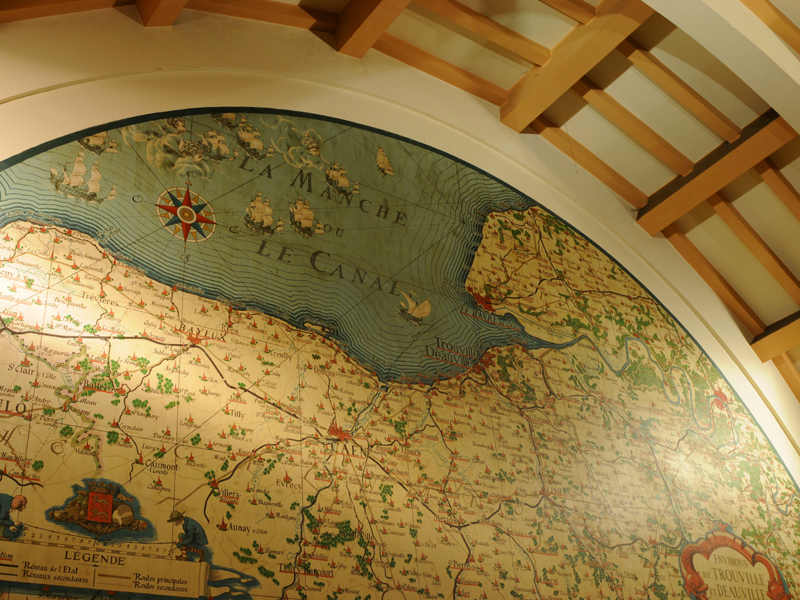 It was built using local materials (bricks, Bavent tiles) and half-timbering structures, thus preserving the Normand style, but it is also quite modern, as confirmed by its volumes – the semi-cylindrical hall - and the use of concrete. -red and yellow cobblestones and street lamps on the platforms.